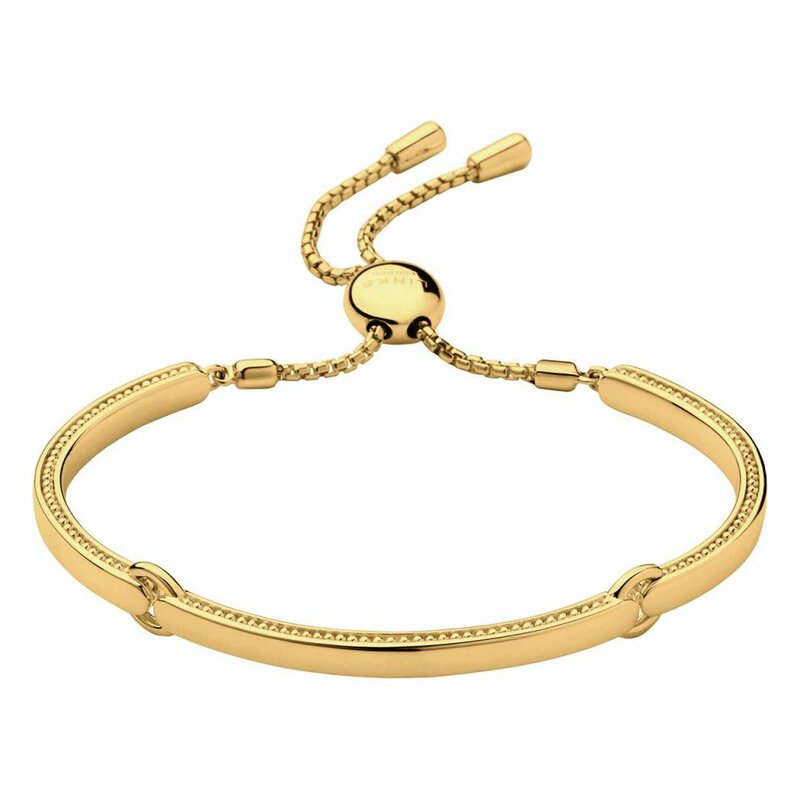 Up the ante this season with this classic Narrative 18kt yellow gold vermeil bracelet, crafted in 18kt yellow gold vermeil, this bracelet boasts a sleek chain with an original clasp feature for a smooth fastening and adjustable length. Wear on its own or stack with the matching rings or pendants also in the collection for a monogram look. Showing 2 of our total 5 reviews, with an average rating of 5 stars. Read all 5 reviews for Links of London Narrative Yellow Gold Vermeil Bracelet. Beautiful gift at a great price. Good quality and unusual design that I have not seen anywhere else.